Trump: Take guns away from Clinton's bodyguards, "let's see what happens to her"
MIAMI Republican presidential nominee Donald Trump stirred controversy once again in Miami Friday night, making vague insinuations about what would happen if Hillary Clinton’s bodyguards had their guns taken away. “She wants to destroy your Second Amendment,” Trump said, starting on a familiar refrain. It wasn’t the first time Trump had expressed a similar sentiment. Just weeks ago - at another rally in early August, Trump ignited another firestorm while talking about the Second Amendment. 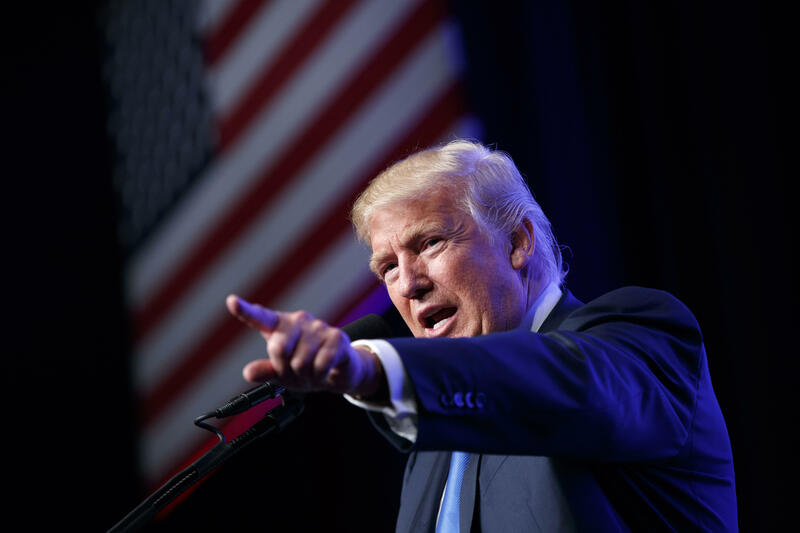 Trump’s critics slammed the comments as potentially inciting violence against Clinton, an accusation that Trump vigorously denied. Trump also denied reports in the aftermath that the Secret Service had a conversation with him about those comments. The rally was in Miami, where the large Cuban population means President Barack Obama’s normalizing of relations with Cuba remains a hot topic. In March, Trump told CNN that he would likely continue the normalization process with Cuba in office. Trump’s recently professed hardline stance now seems to align him further with more traditional Republican thinking, especially policies espoused by Florida’s home state senator, Marco Rubio, once Trump’s former foe in the primary and now reluctant supporter. Trump’s speech in Miami came on the same day that Trump held a bizarre press conference at his new hotel in Washington. After teasing on Fox Business that he would be making a big announcement about the debunked birth movement, of which Trump was a vocal leader, he spent time promoting the hotel and then lined up military veterans to praise him. Finally, at the end of the event, Trump gave a cursory statement falsely claiming that Clinton started the birther movement and that he finished it. With that, Trump walked away from the microphones. There was neither an apology, nor any mention of his vocal cheerleading for years - as recently as 2015 - of the birther movement. He did not say why his opinion changed or when. He had spent more time discussing his hotel than the birther issue.